While most UPS systems and batteries live out their service lives in temperature controlled rooms, some need to live out their service lives in harsh or remote conditions that threaten their longevity and reliability. 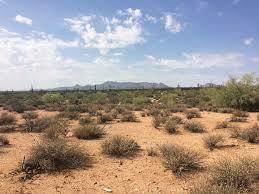 These hard-to-reach locations, where devices may need to be self-powered and battery replacement and recharging is extremely difficult, may also be places that experience extreme temperature swings. In these rugged conditions, a failure can be even more challenging to repair, and an uninterrupted power supply even more critical, so it is important to start with the right equipment. 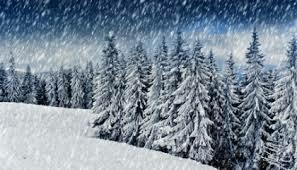 Power Solutions offers many solutions for rugged outdoor applications. Our manufacturers have UPS Systems, Batteries and Enclosures that can meet any environmental challenge and help you provide the power your organization needs. Deka Fahrenheit Series – Elevated temperatures have always been one of lead-acid battery’s more formidable foes, requiring costly cooling systems installation and constant energy demands. Along with the cost associated in purchasing and installing cooling units, there’s the continual cost and energy loss from powering these systems. A breakthrough in a heat-tolerant VRLA monobloc battery design the Deka Fahrenheit survives up to 3 times longer in temperatures of 60°C / 140°F – far beyond the life of a normal VRLA battery. Innovative features through an Exclusive Thermal Management Technology System provide a product that significantly reduces the need for outside plant cooling systems to save considerable cost, conserve energy, and reduce the overall sites’ CO2 footprint. For more information on the Deka Fahrenheit Series call 800-876-9373 or email sales@power-solutions.com. VaultFlex Enclosures provide a secure, thermally managed environment for UPS batteries or substation and communication batteries. Whether you need heating, cooling, monitoring, or all three, we have your solution. Outdoor rated construction provides the flexibility to take batteries outside. The enclosures have a modular construction to accommodate a wide range of backup requirements. Available options include an integrated battery charger, NERC compliant battery monitoring and DC distribution. 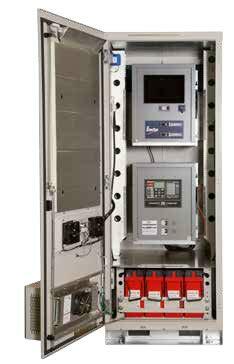 For additional information about Enersys VaultFlex Enclosures, call 800-876-9373 or email sales@power-solutions.com. Falcon’s Industrial UPS (wide and ultra-wide temperature) are unique in the industry. They have a field-proven track record of reliability and long-life. Falcon offers one of the only agency-certified industrial UPS’s, carrying UL1778, UL508 and cUL listings, as well as CE certification to operate from -30°C to 65°C (-22°F to 149°F). They are specifically designed for the rigors of industrial environments, such as oil/gas, manufacturing, SCADA, wastewater and transportation systems. For more information on Falcon UPS products, call 800.876.9373, or email sales@power-solutions.com. 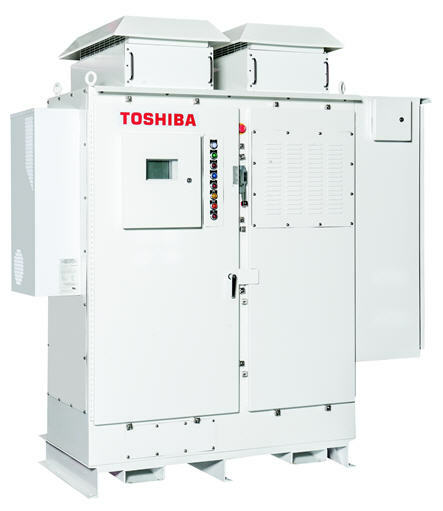 The Toshiba NEMA 3R Solution, for outdoor and indoor use, is ideal for harsh and dusty environments such as water/wastewater, mining, manufacturing, pipelines, and transportation hubs. 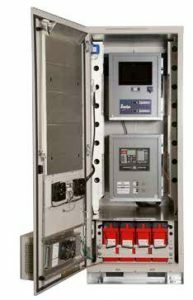 The NEMA 3R Solution is available with or without integrated battery storage and accommodate three-phase power input and three-phase power output and utilizes all-IGBT architecture. The NEMA 3R rated enclosure is capable of withstanding operating temperatures from -10°C to 50°C. 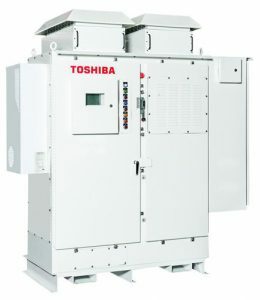 For more information on the Toshiba 5000 Series, call 800-876-9373 or email sales@power-solutions.com. For more information about any of our Rugged Outdoor Solutions, or help configuring the ideal system or choosing the perfect product, call 800-876-9373 or send an email to sales@power-solutions.com.